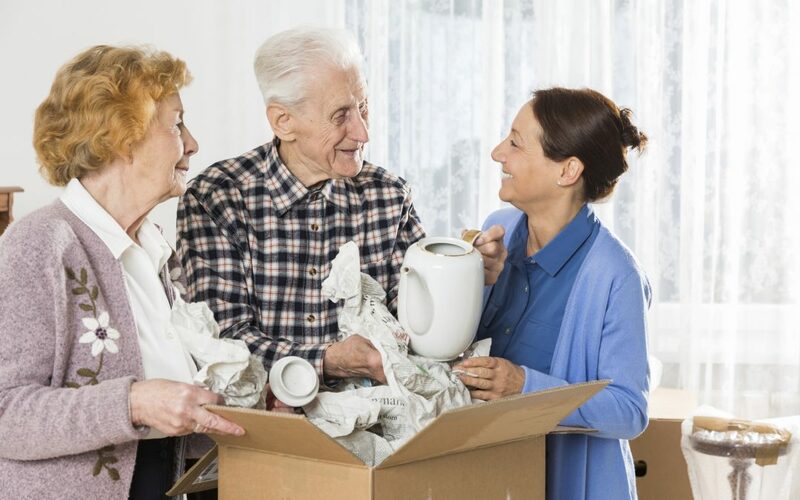 The decision to help an aging adult move out of a current home is a complex one — both emotionally and practically. Above all, you want the person to be safe and well. 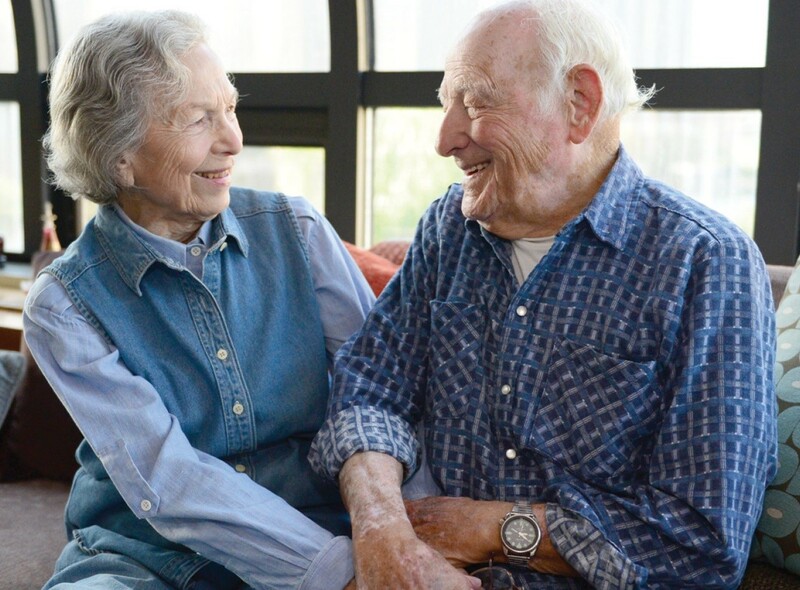 There are many factors that can play into you’re feeling more confident about whether circumstances suggest your loved one should no longer be living alone. Although every situation is different, reviewing the following signs listed below will give you valuable information in helping make a decision. A chronic health condition that’s worsening. 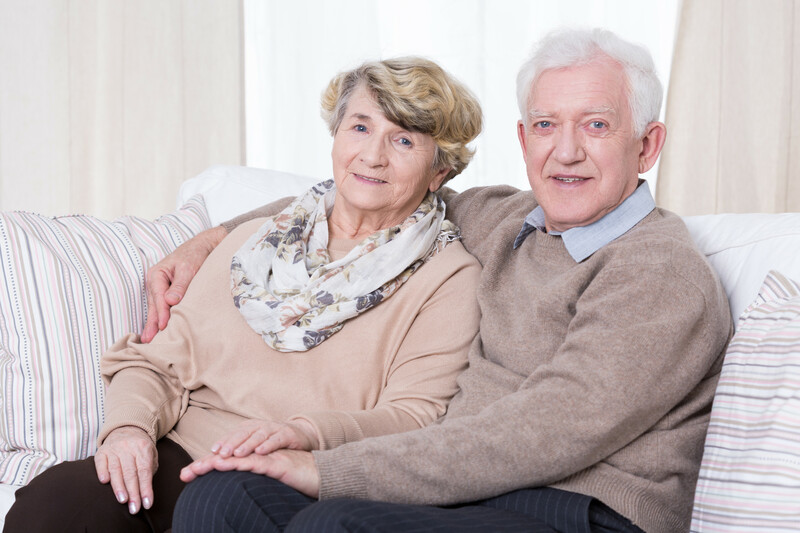 Progressive problems such as COPD, dementia, and congestive heart failure can decline gradually or abruptly, but either way, their presence means your loved one will increasingly need help. Increasing difficulty managing the activities of daily living (ADLs) and instrumental activities of daily living (IADLs). ADLs and IADLs are the skills needed to live independently dressing, shopping, cooking, doing laundry, managing medications, etc. Doctors, social workers, and other geriatric experts evaluate them as part of a functional assessment, which is one way to get an expert’s view of the situation. Difficulties with ADLs and IADLs can sometimes be remedied by bringing in more in-home help. Give your loved one a big hug. Clues aren’t always visible from a distance…especially when you don’t see the person every day, you might learn more through touch. Noticeable weight loss. Does the person feel thinner? Does clothing look and feel looser? Many conditions, from depression to cancer, can cause weight loss. A person who is having trouble getting out to shop or remembering how to cook (or to eat) can lose weight. Also be sure to check the refrigerator and observe meal-prep skills. Seemingly more frail. Do you sense anything “different” about the person’s strength and stature when you hug? Can your loved one rise easily from a chair? Does she or he seem unsteady or unable to balance? Compare these observations to the last time you were together. Changes in appearance. Does the person’s hair and makeup look normal? Are their clothes clean? Someone known for crisply ironed shirts who’s now in a stained sweatshirt may lack the dexterity for buttons or may have lost the strength for managing an ironing board and iron. A formerly clean-shaven man with an unkempt beard may be forgetting to shave (or forgetting how to shave). Signs of active friendships. Does your loved one still get together for lunches or outings with friends or visits with neighbors, or participate in religious activities or other group events? Does he or she talk about others or keep a calendar of appointments? Lack of companionship is associated with depression and heart problems in older adults. If friends have died or move away, moving to a place where other people are around could be lifesaving. Signs that your loved one has cut back on activities and interests. Is a hobby area abandoned? Has a club membership been given up? A library card gone unused? There are many reasons people cut back, but dropping out of everything and showing very little interest in previously frequent involvements, is a red flag for depression. A plan for a worst-case scenario. If there’s a fire, flood, or some other major natural disaster, is someone on standby to assist? Does your loved one understand the plan? Rifle through the mail. Your loved one’s mail can offer an often-overlooked clue to how he or she is managing money — a common early warning sign of a cognitive trouble. Snowdrifts of mail in various places. Finding lots of mail scattered around raises concerns about how bills, insurance, and other matters are being managed. (Piles of mail are also a potential safety concern due to a tripping hazard). Unopened bills. This can indicate that your loved one is having difficulty managing finances one of the most common first signs of dementia. Thank-you messages from charities. Older adults are often vulnerable to scammers. Even those who have always been fiscally prudent are vulnerable if they’re having trouble with thinking skills (a common sign of Alzheimer’s disease). Some charities hit up givers over and over, and your loved one may not remember having donated the first time. Lots of crisp, unread magazines. The person may unknowingly have repeat-renewal subscriptions that he or she doesn’t need. Take a drive with your loved one behind the wheel, if he or she is still driving. Often, the ability to drive is practically a requirement for living independently in our culture (or the arrangement of alternate transportation options). Nicks or dents on the car. Notice the car body as you get in or out. Damage marks can be signs of careless driving. Whether the person promptly fastens his or her seat belt. Even people with mild dementia usually follow the basics of driving. It’s obviously worrisome if he or she is forgetting this step. Tension, preoccupation, or being easily distracted. The person may turn off the radio, for example, or be unwilling to engage in conversation while driving. He or she may avoid certain routes, highway driving, or driving at night and in rain — a safe kind of self-policing, but also signals of changing ability. Go through the kitchen, from the refrigerator, to cupboards, to the oven. Because people spend so much time in this room, you can learn a lot. Stale or expired foods. We all buy more than we need. Look for signs that food is not only old but that is unnoticed. For example, mold, sour milk that’s still used, or expiration dates that are well past due. Multiples of the same item. Ten bottles of ketchup? More cereal than can be eaten in a year. Multiples often reveal that the shopper can’t remember from one store trip to the next what’s in stock at home. A freezer full of TV dinners. Your loved one may buy them for convenience sake, but frozen dinners tend not to make for a healthy diet. If there’s not much fresh food in the house (because it’s too hard for the person to procure or cook), your loved one might be ready to have help with meal prep or delivery services. Broken appliances. Check them all: stove, refrigerator, microwave, coffee maker, toaster — any device you know your loved one uses (or used to use) routinely. Signs of fire. Are stove knobs charred? Pot bottoms badly singed? Do any potholders have burned edges? Also look for a discharged fire extinguisher, smoke detectors that have been disassembled, or boxes of baking soda near the stove. Accidents happen. Ask for the story behind what you see. Accidental fires are a common home danger for older adults. Increase use of take-out for simpler cooking. A change in physical or mental abilities might explain a downshift to simpler recipes or food choices. Look around the living areas. Sometime the most obvious sign is hard to see because we become so used to it. Lots of clutter. An inability to throw anything away may be a sign of a neurological or physical issue. Obviously, it’s more worrisome for a person who has been consistently neat vs. a chronic slob. Papers or pet toys strewn about the floor represent a definite tripping hazard. Signs of lax housekeeping. Spills that haven’t been cleaned up are a common sign of dementia, meaning the person most likely is lacking the follow-through to be tidy. Keep an eye out for cobwebs, bathroom mold, thick dust, or other signs of slackness. Physical limitations can mean your loved one needs housekeeping help or a living situation where this is taken care of for him or her. Bathroom grime and clutter. A common scenario: Your loved one makes an effort to tidy up living areas, but overlooks the bathroom. Or the guest bath is clean, but not the one the person uses all the time such as a master bathroom. Be sure to check out how other living things in the home are faring. An ability to take care of pets and plants goes along with self-care. Plants that are dying, dead, or have just disappeared. Most of us have seen plants go brown sometimes. Keep an eye out for chronic neglect especially in a former plant-lovers home. Animals that don’t seem well attended to. Common problems include: dogs with long nails, cat litter boxes that haven’t been changed lately, or dead fish in the fish tank. Poor grooming, overfeeding, and underfeeding are other red flags. Walk around the yard. Yard maintenance…or lack of it…can yield clues that your loved one isn’t faring as well at home along anymore. Newspapers in the bushes. Are papers being delivered but ignored? Sometimes people pick up those they see on a driveway or front steps, but not those that may land in the yard. Mail piled up in the mailbox. Go out and check. Surplus mail is an indication that your loved one isn’t retrieving it regularly. Get the input of others who know your loved one in order to collect a fuller picture of reality. Gently probing about what others think isn’t nosy, you’re simply being loving, concerned, and proactive. Medical insight. With appropriate permission, your loved one’s primary doctor may share your concerns about his or her patient’s safety at home or they may be able to alleviate those concerns or suggest where to get a home assessment. A second opinion. A social worker or professional geriatric care manager visits older adults’ homes and does informal evaluation. While your loved one may initially resist the notion of a “total stranger” checking on them, try pitching it as a professional (and neutral) second opinion, or…ask the doctor to “prescribe “ it. Some people wind up sharing doubts or vulnerabilities with a sympathetic, experienced stranger that they normally would by very reluctant to admit to their own adult children or family. How you’re doing. While the decision for your loved one to remain in his/her home is not primarily about you — the son, daughter, grandchild, caregiver — your own exhaustion can be a good gauge of a decline in older adults’ ability to care for themselves. Keeping someone at home can require lots of hands-on support or care coordination, and this is time-consuming. 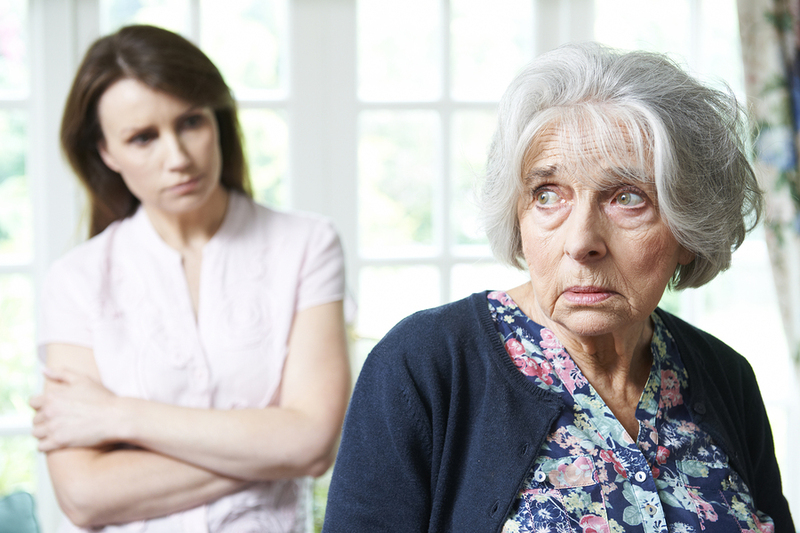 If your loved one’s need for care is just plain wearing you out, or…if a spouse or children are feeling the collective strain of your caregiving activities, these are major signs that it’s time to start looking at other options. Your loved one’s emotional state. Safety is crucial, of course, but so is emotional well-being. If someone living alone is riddled with anxieties or increasingly lonely, then that may tip the scales toward a move not solely based on health and safety reasons. If your loved one has a full life, a close neighborhood and community connections, and seems to be thriving, it’s worth exploring as many in-home care options as possible before raising stress levels by pressing a move from a beloved home. If on the other hand, your loved one is showing signs that living alone is a strain, it may be time for a talk. Broach the subject of where to live in a neutral way and you may find that your loved one harbors the same fears for current and future safety and security that you do. Find out what your loved one fears most about moving and about staying before launching into your own worries and what you think ought to be done. While many aging parents are wary of leaving their family home to move into assisted living, the truth is that a senior living community could be better than living at home when it comes to quality of life, social life, and overall wellness. Adult children who notice that mom and dad are needing more care may question how to handle their parents’ changing health needs. Inevitably, the day comes to assess whether our parents need more than they have in their family home environment. Many seniors are resistant to assisted living, often stating that they don’t want to be put in a “home!” However, a little education about the wonderful senior living communities and options available today, in addition to touring communities like The Classic, can help families and their senior loved ones choose the best option for their unique situations. In fact, research shows that aging parents and seniors prefer assisted living over other types of care, as these communities have expanded their market by providing fun convenience, retirement, and socialization services. Senior living is a great step for seniors who need more socialization and help with daily needs than the family can provide at home. There are many types of senior living care. As an example, The Classic offers assisted living and independent living as well as memory care — all on one campus. Each of these options can offer entertainment, fitness, and living arrangements for the stage parents may need. Listed below are a few compelling reasons why Assisted Living at The Classic can contribute to better health and quality of life for a senior loved one. Assisted Living offers nutritious, chef-prepared cuisine that can be catered for specific medical conditions and needs. Residents are served three meals a day and can be tailored to their changing health needs. 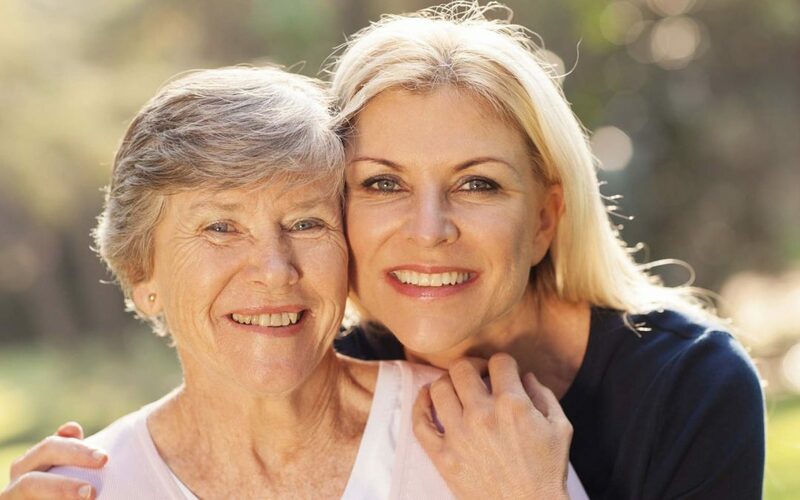 When a senior loved one lives at home, family caregivers are also generally responsible for helping with activities of daily living (ADLs) such as bathing, dressing, and eating. In other cases, the family or the senior themselves must bear the cost of a home care aide. Both of these options can cause strain on the family. In contrast, one of the most basic benefits of assisted living is helping older adults with these ADLs so that they can continue to function as independently as possible. Offered at The Classic are many opportunities for learning, such as book clubs, cooking presentations, gardening, and more. Keeping up with appointments, daily chores, and housekeeping are often stressful for not only seniors, but also family members. The vast majority of these burdens are relieved for Assisted Living residents at The Classic as weekly housekeeping and transportation services through Abby Vans is offered. The Classic offers regularly scheduled exercise sessions led by trained instructors as well as access to gym equipment in the Fitness Studio. Often, home modifications and in-home care are required for a safe living environment in the family home, which can be very costly. Assisted living is designed for accessibility and mobility, while offering expert care and medical attention if needed. Living at home can be isolating. 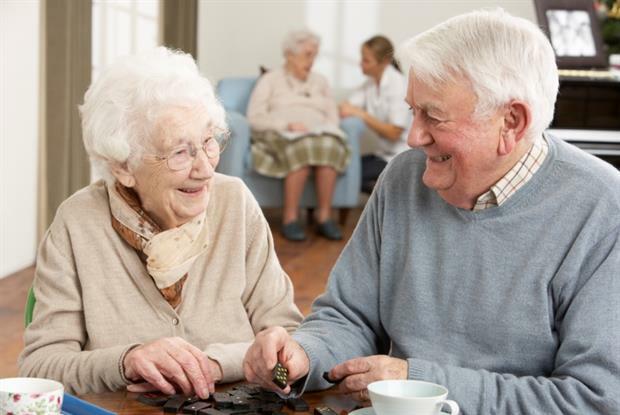 Seniors often find it difficult to maintain their social relationships when they are retired. Assisted living offers socialization through planned activities and outings, such as cultural events and field trips. Daily living in the common areas also offers fun and socialization for seniors. Don’t all the emotional and logistical challenges of finding senior living overwhelm you. Making the decision to move to an Assisted Living community is becoming much easier as families are increasingly learning more about the benefits and services offered at communities like The Classic. 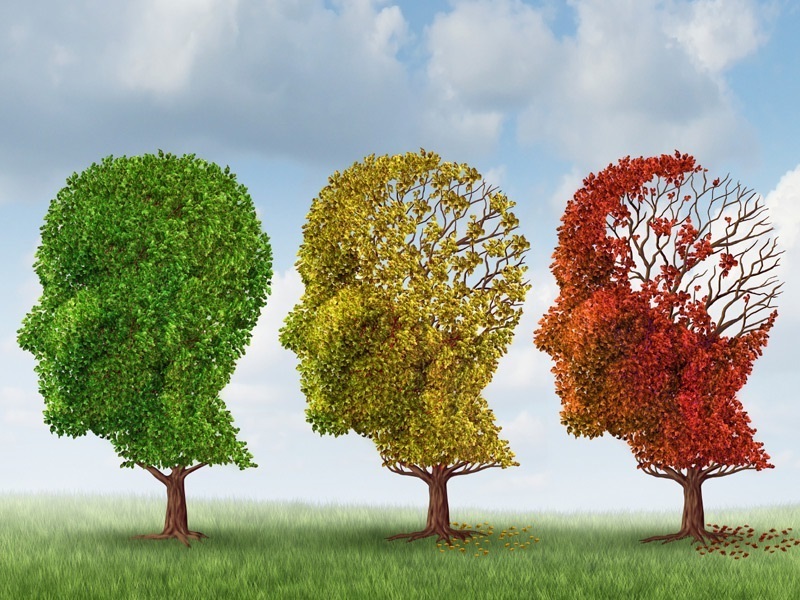 Have you ever worried that you or a loved one may be losing cognitive abilities with age? If so, you are not alone — many adults over 65 have the type of cognitive decline or loss we regard as a “normal” consequence of age. Becoming easily distracted or having trouble remembering what was just read, or the details of a conversation. Forgetting names of acquaintances or blocking one memory with a similar one, such as calling a grandson by his father’s name. Occasionally forgetting an appointment or walking into a room and forgetting why you went there. Occasionally forgetting where things were placed that are used regularly, like eyeglasses or keys. For many people, slight lapses in memory from time to time are a natural and normal part of the aging process; however you or a loved one are struggling with ability to perform everyday activities, or any behavior, memory or thinking skills, then there may be a bigger issue at hand. Cognitive decline and dementia are two common conditions that are not considered normal aspects of aging. According to the World Health Organization, nearly 50 million people worldwide have some form of dementia with nearly ten million cases added every year. Cognitive decline and dementia differ from age-related memory loss in that they are degenerative diseases that will gradually worsen over time. For many people, symptoms of cognitive decline start out subtly and may only be noticeable to the person experiencing them. Choosing the right healthcare professional is critical if you’re concerned that you or a loved one may be experiencing dementia or another cognitive disease. According to an article published by U.S. News, making an appointment with your primary care physician (PCP) is the best first step to receiving comprehensive care. Primary care physicians should be able to get a complete medical history, family history, social history, current medication list and a review of any loss of abilities to perform day-to-day activities. During an initial visit, your physician will most likely perform a full physical exam as well administer a cognitive assessment to gain a better understanding of your symptoms and rule out other possible conditions. Your physician may also order lab tests, including blood work, a CT scan or an MRI, as well as make a referral to a dementia-specific specialist for further testing. According to the University of North Carolina School of Medicine, your best choice for a dementia-specific specialist is a geriatrician with a special interest in dementia, or a geriatric psychiatrist. A geriatrician is a “primary care internist or family practitioner who specializes in complex conditions of older people and can provide care for all of an older adult’s medical needs whereas a geriatric psychiatrist specializes in the emotional and mental needs of older individuals. They conduct thorough memory, mood, sleep, and thinking evaluations. They are particularly good at assessing memory problems associated with life stress, anxiety, depression, excess drinking, or family conflicts. If you are unable to obtain a referral to either one of these specialists (or your insurance will not cover the cost of these visits), your primary care doctor may refer you to a neurologist. A neurologist has specialized training in diagnosing, treating, and managing disorders of the brain and nervous system. Some neurologists are specifically trained in diagnosing cognitive decline and dementia and so it is important for you and your family to ask your primary physician and conduct research for the appropriate neurologist to ensure you are being referred to the most appropriate specialist. During your initial consultation, the neurologist will perform more comprehensive tests to determine your mental fitness. Many people struggle following a diagnosis of cognitive decline or dementia. A psychologist or social worker can provide counseling and support and also help to address behavioral issues. They can also offer support to the family unit in order to best support the newly diagnosed individual. 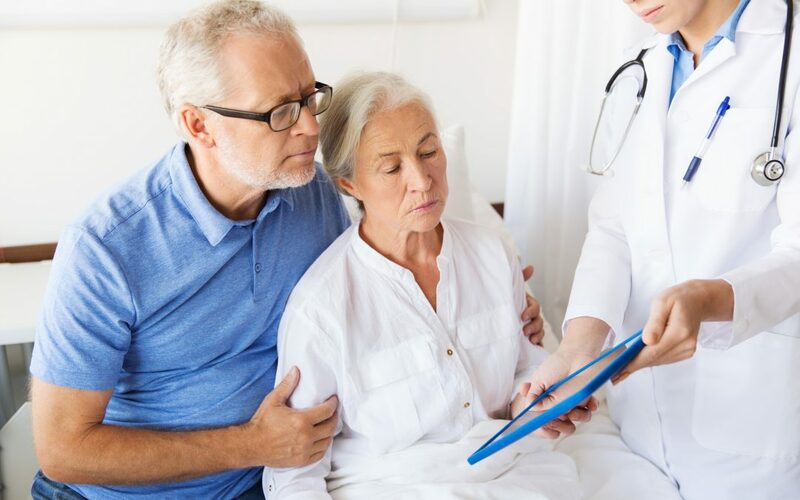 As mentioned above, the University of North Carolina School of Medicine suggests visiting a geriatric psychiatrist because they focus solely on the emotional and mental needs of older individuals. If you suspect that you or a loved one is experiencing cognitive decline or dementia then starting with your primary care physician is the best first step. You shouldn’t however feel restricted by their opinion. If you are not happy with the results of primary care physician’s assessment, or, if that doctor does not seem to feel an evaluation for diagnoses and treatment of the cognitive problem is that important, then it’s time to get a second opinion.